To engage moms and families, Coca-Cola launched a three-year effort called Arctic Home - a way to raise awareness for their efforts to support polar bears. 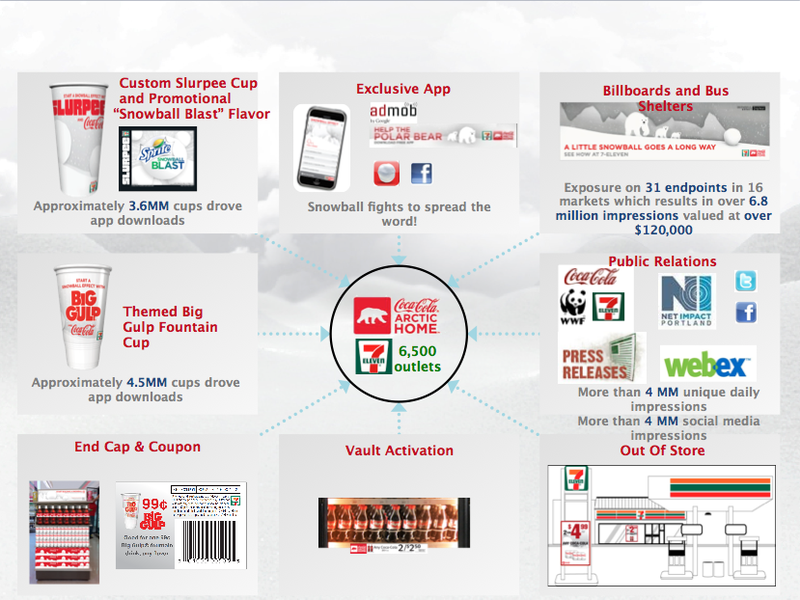 The program allowed people to donate money to show their support but when it comes to reaching cash-strapped Millennials, Coke asked us to engage 7-Eleven shoppers in a more relevant way. The Snowball Effort was a promotion that allowed Millennials to earn points by checking in to 7-Eleven stores, entering Slurpee codes and by playing virtual snowball fights with their Facebook friends. Weekly prizes, like iPads, kept the momentum going and one lucky shopper even won a grand prize trip to the arctic.